These ecological surveys, carried out annually in July, report on the changes which have taken place on a 2 hectare site located in the Woodland Education Centre in Offwell, near Honiton in the county of Devon, South West England. 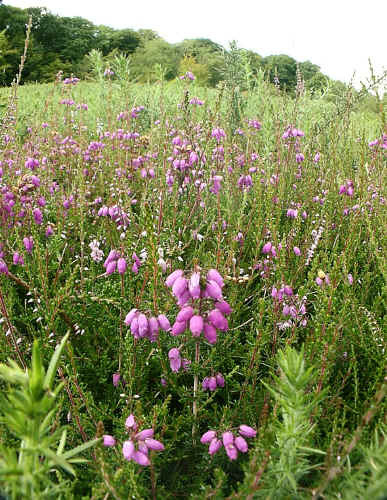 The site is being restored to a lowland heath habitat. The area was formerly wooded with a failed conifer crop and Sweet Chestnut, with an understorey of rhododendron. This was completely cleared in 1993. The area was subsequently divided into nine sections/strips. Different management techniques were assigned to the sections to test the resultant effects on lowland heath restoration. Experimental management on the project site began in 1995. 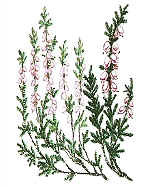 Heath Species on the project site.